Paul Baumer enlisted with his classmates in the German army of World War I. Youthful, enthusiastic, they become soldiers. But despite what they have learned, they break into pieces under the first bombardment in the trenches. And as horrible war plods on year after year, Paul holds fast to a single vow: to fight against the principles of hate that meaninglessly pits young men of the same generation but different uniforms against each other--if only he can come out of the war alive. 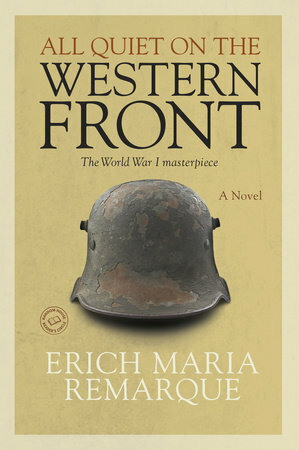 "The world has a great writer in Erich Maria Remarque. He is a craftsman of unquestionably first trank, a man who can bend language to his will. Whether he writes of men or of inanimate nature, his touch is sensitive, firm, and sure."